Our bespoke media training located at Fitzwilliam Hall, Fitzwilliam Place Dublin 2, will help you get your message across succinctly and dynamically. Whether you’re being grilled on radio, television or by your shareholders, we will give you the skills and tools to turn every situation to your advantage. We’ll show you how to deal with challenging questions and keep on message at all times. Do you have an important speech to make? Many people find speaking in public terrifying. We assist with scripting, delivery and provide tips and hints for dealing with nerves. Whether delivering good or bad news to staff/shareholders or promoting your product in media interviews, excellent communication skills are an essential component of the good corporate executive’s skill set. First impressions last! We help you to prepare properly for that job interview and give you an advantage over your competition. Sometimes selling yourself is the most difficult job of all. 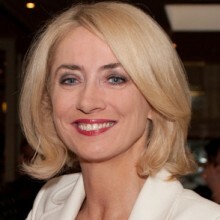 Theresa Lowe, well-known TV/Radio presenter and Barrister is the founder and principal at Theresa Lowe Communications. With over thirty years experience as a media expert, Theresa shares her immense knowledge with her clients.